Adidas Pop-Up Shop 3D Printing Experience #3DThursday #3DPrinting « Adafruit Industries – Makers, hackers, artists, designers and engineers! 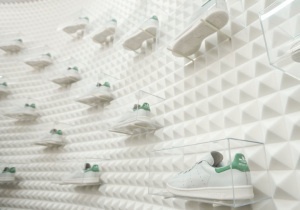 The pop-up was a scale replica of an Adidas Stan Smith shoebox. Customers entered through the side of the shoebox and were able to purchase limited edition shoes along with having an interactive memorable experience of becoming part of their shoe in a personal way. 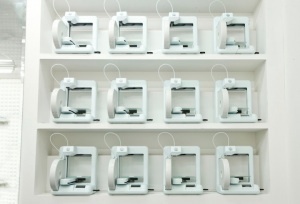 3D Systems Cube printers lined the walls and were operating live in the store. The printers worked away making personalized lace locks for the customers to put the finishing touch on their shoes, just one of the many interactive experiences that were available….